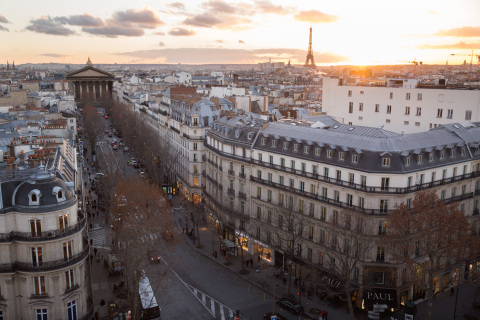 PARIS–(BUSINESS WIRE)– As part of its international development strategy, Business Wire is happy to announce that its Paris office has moved and is expanding. Business Wire France was launched in October 2005 and is now relocating Place de la Madeleine in Paris with the ambition to add new staff and increase its market share in France and Southern Europe. Business Wire, a Berkshire Hathaway company, is the global leader in press release distribution and regulatory disclosure. For Patrice le Tulle, Business Wire Regional Director France & Southern Europe, “moving in this new space in the heart of Paris gets us closer to our historical clients and for our clients abroad, the address reflects our international dimension. Besides, we will be able to organize workshops and seminars around PR, IR and other topics linked to our industry because we now have the capacity to host these types of events”. Business Wire Paris office has its own newsroom with a team of professional editors. With 19 newsrooms and over 200 editors worldwide, Business Wire is the only newswire service to offer such a proximity relationship with its clients. Building local presence is key to Business Wire to better understand the communications needs of companies and industries in their local markets. French companies will continue to benefit from the large distribution networks Business Wire provides as well as local assistance, two fundamentals of Business Wire to better serve its clients. From press releases distribution with photos and videos, disclosure, online newsrooms, interactive media, content marketing platforms to analytics and social media monitoring, Business Wire has a wide range of services to suits all communications needs. Learn more at services.BusinessWire.com and Resources, the Business Wire resource for industry trends; follow updates on Twitter: @businesswire or on Facebook.